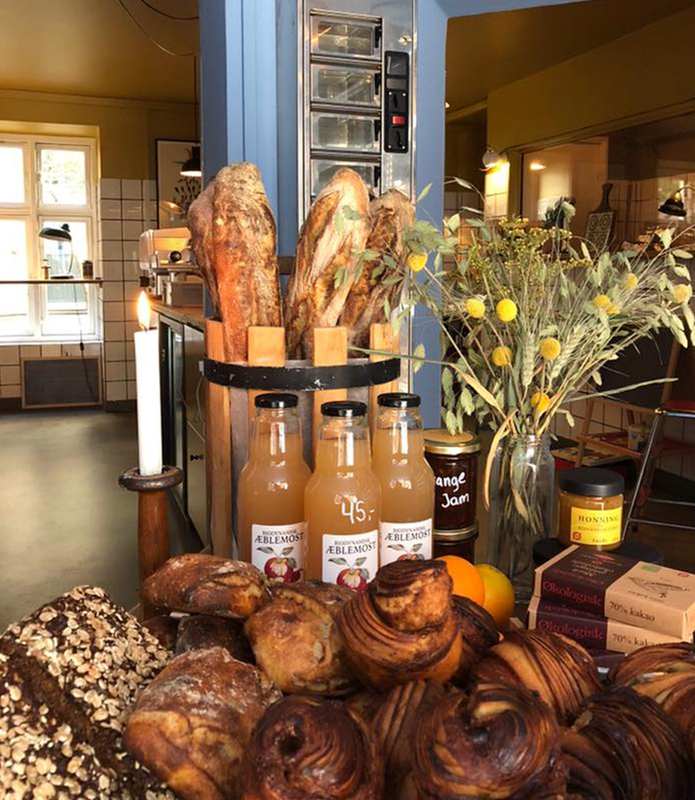 La Dispensa Alimentari Locali opened in Jægersborggade in March 2018. Here you will find a selection of high quality specialized groceries, sandwiches and delicatessen. We love quality food products and take great pride in hand picking and getting to know the absolute best Italian and Danish suppliers. We carry a selection of cheeses, hams and salamis, olive oil, nuts, olives, beans, flours, spices and dairy products. We also sell a range of clean and natural Italian wines from Il Buco Importazione and a small selection of bread and pastries from Il Buco bakery. Every day, the chefs at restaurant Il Buco produce a variety of fresh pastas, pestos, fermented vegetables and sauces for the shop. Ready to finish at home. Every Thursday, you can also collect your preordered vegetables from Birkemosegaard with us.